Doubletree by Hilton Carson is the official hotel partner of the 2018 UCI Masters Track Cycling World Championships. Located just 3 miles away from the Velodrome located at the StubHub Center. 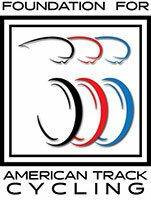 Hotel will provide a scheduled shuttle services to and from the Velodrome at a small cost. We welcome our guests with our signature Chocolate Chip Cookie upon arrival. Staying at Doubletree Carson makes you feel at home away from home as you meet our warm and friendly staff. Take advantage of the following on-site amenities and the lowest occupancy tax in South Bay area at 9.07% added on top of your group rate. Doubletree Carson team looks forward to welcoming you as our guest! The room block is now up and running. There are (3) options to book: weblink, call-in, Doubletree Carson website. Regardless of the booking method, the group code (UCI) is important for the attendee to use in order to avail of the group rate. Simply copy and paste the URL below into your browser to access the exclusive rates available for this group. Please note, the entire URL must be copied and pasted for it to work properly. Please share this link with anyone who needs to book UCI group rates. 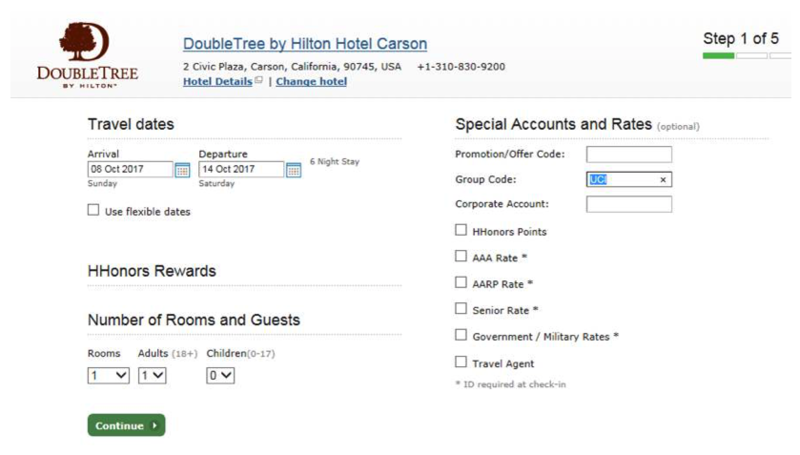 DOUBLETREE CARSON WEBSITE: Below sample of screenshot where "Group Code" is located and “UCI” should be manually typed in.